Discussion in 'Bensinger Handforged Knives' started by CM_Rick, Jul 2, 2016. I hope you like it, Jim! I love this knife. Great review Rick! Keep doing what you are doing. As for Jim's Knives. They are just plain awesome. He has a unique view on what a knife needs to be a good knife. I love listening to him talk about his thoughts behind his designs. He is very focused on things like point of percussion, balance, edge retention and a million other things that make his knives great. My only regret is that I don't have unlimited funds to reward myself with more of Jim's work. I love that bolo. I have used Jim's personal bolo. I am not sure how much the one you reviewed differs from the one I've tried out. The one I used was a light saber and may be my favorite knife of Jim's that I have held. 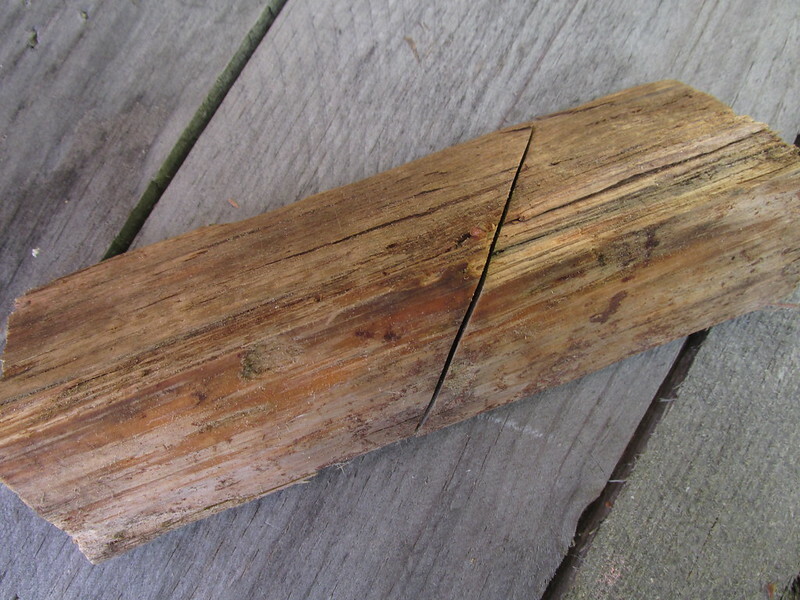 It split this hunk of wood on a molecular level. 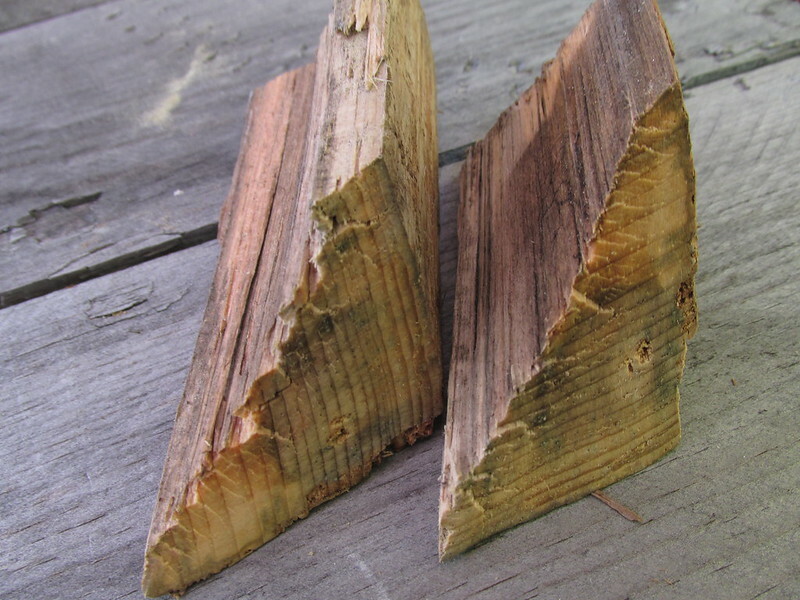 Here is that hunk of wood that was cut through so cleanly with minimal effort. I remember the first time I met Jim, he handed me one of his knives and told me I could go chop stuff with it. Because of the way I was raised I was using it lightly, not wanting damage the knife in any way and be "that guy". Jim walked over while I was messing around, asked for his knife back, proceeded to wail away on that log with his knife. Then he handed me the knife back and told me to use his knife like that and walked away. That scenario sold me on the confidence that Jim has in his work. Another thing I like about Jim is that his feet are firmly planted in reality. He is a real dude and isn't afraid to show it. He isn't shy about answering my dumb questions and admitting his failures. I do! Thank you sir. Really glad you like that bolo. Cheers. Nice video, very nice blade. he is - but mostly posting up on his FB page. Good review! Great knife! Took me some time to realize the word "hyooning" was meant to be "hewing," as in "to hew a log," and "that log is rough hewn." I guess I've been away from my NC piedmont home for too long!